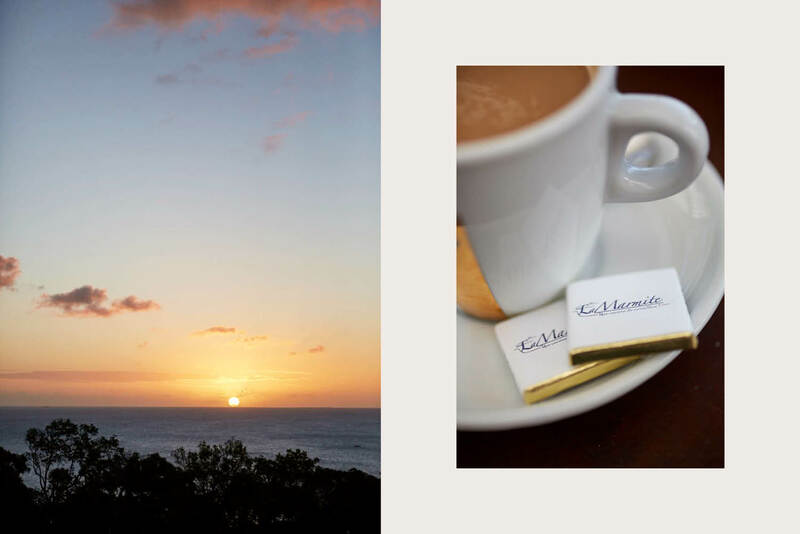 From left to right: A golden sunset ends a perfect New Caledonian day. Good coffee is a given (photo: Nicky Ryan). From left to right: La Marmite is the perfect spot for a romantic dinner.It doesn’t get much more romantic than having the beach to yourself (photo: Nicky Ryan). Bliss out together with an indulgent tandem treatment by Deep Nature Spa; boasting facilities in three Caledonian hotels, the French brand has cornered the market in these picturesque parts. In a modern and serene environment with ocean views and an inviting indoor jacuzzi, the Noumea location offers a 50-minute massage for two followed by an intense relaxation bath with fruit cocktails or tea. The package is named Lune de Miel, or Honeymoon, but it’s just as good whether you’re newly wedded or not. If you fancy some solo pampering as well, it’s hard to go past a massage in the faré – an open-sided Polynesian-style hut – at the end of a secluded, sandy jetty at the gorgeous Isle of Pines outpost, where soft breezes waft by and the surrounding turquoise lagoon forms a backdrop of unparalleled natural beauty. Table for two? Mai oui, bien sûr. For a gourmet experience to impress your better half, upscale Noumea establishment Marmite et Tire Bouchon is the place. 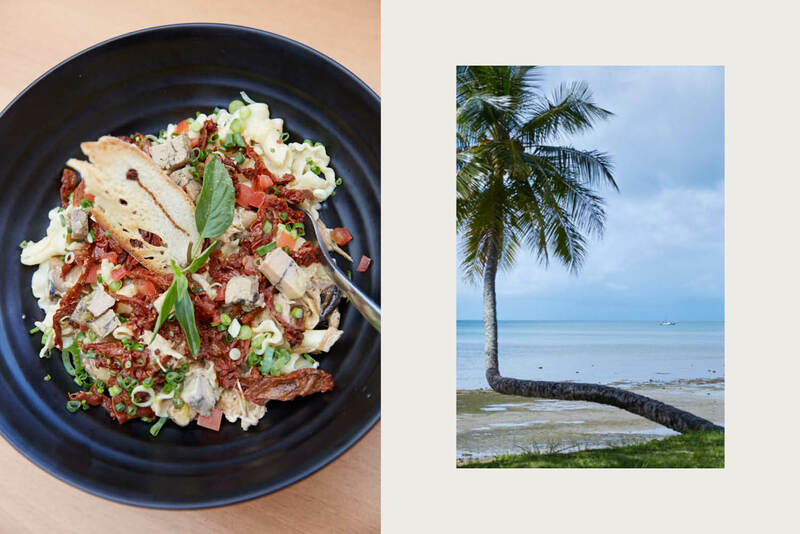 Across from the pretty Orphelinat Bay, with its swaying palms and snazzy boats, the intimate restaurant offers French cuisine infused with South Pacific flavours. It also features an astonishing wine cave with Mumm, Pol Roger and their ilk helpfully displayed at the front. The goat’s cheese and Serrano ham parcel with honey and hazelnuts is a fine place to start. Then, for some continental decadence, try the generous plate of silky campanelle pasta with confit guinea fowl, house-made foie gras and sun-dried tomatoes in a rich mushroom sauce. Be sure, though, to leave room for the artisanal ice-cream and sorbet. Tastebud-tingling raspberry, creamy coconut, chocolate and mango will all hit a sweet spot; even the classic vanilla, flavoured with fragrant beans from the nearby island of Lifou, is outstanding. Adventurous types can marvel under the full moon on an evening kayak tour in the remarkable Parc Provincial de la Riviere Bleue, deep in Grand Terre’s remote south. The experience begins with an easy two-hour guided walk through the landscapes of New Caledonia’s premier nature reserve. Then you’ll take to a two-person kayak on the shimmering lake of Yaté with its atmospheric drowned forest of kauri trees, their pale trunks rising mystically from the water. You’ll likely be joined by other guests for the journey, but it nonetheless makes an unforgettable end to a day of exploration in the great outdoors. The tour group offers camping, too, so afterwards it’s easy to snuggle up together under the stars. Fancy sailing off into the sunset with just your partner by your side? If you’ve got the nautical nous, you can easily charter a vessel and follow your hearts, and your own schedule, on a romantic bareboat cruise on the world’s largest lagoon. From its base in Noumea Dream Yacht Charter can set you up with a catamaran or yacht for an overnight outing or extended itinerary. You’ll be able to make your tropical-island fantasies come true with a stop on a secluded islet or two for swimming and snorkelling, sunbathing and the perfect romantic pique-nique. Then, at day’s end, Champagne in hand, you’ll be treated to one of New Caledonia’s most awe-inspiring spectacles as the sun dips low over the Pacific.